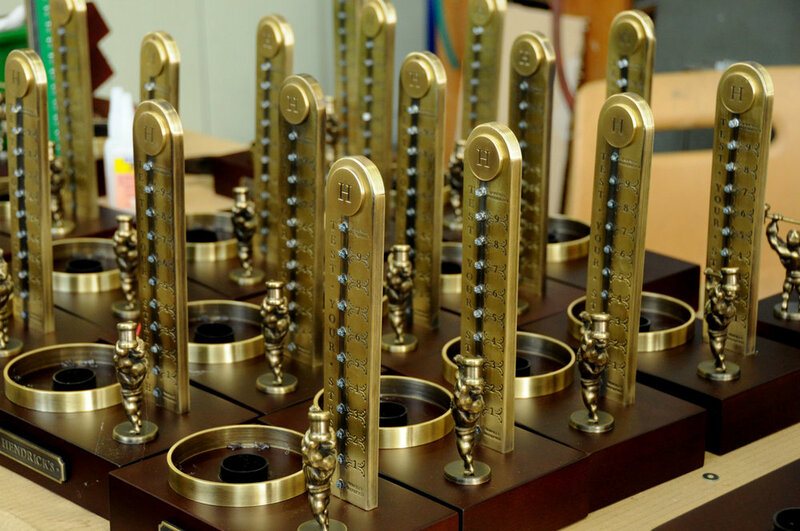 The Strongman Bottle Glorifier is one of our most complex products, as it involves different technologies, materials and electronic components. 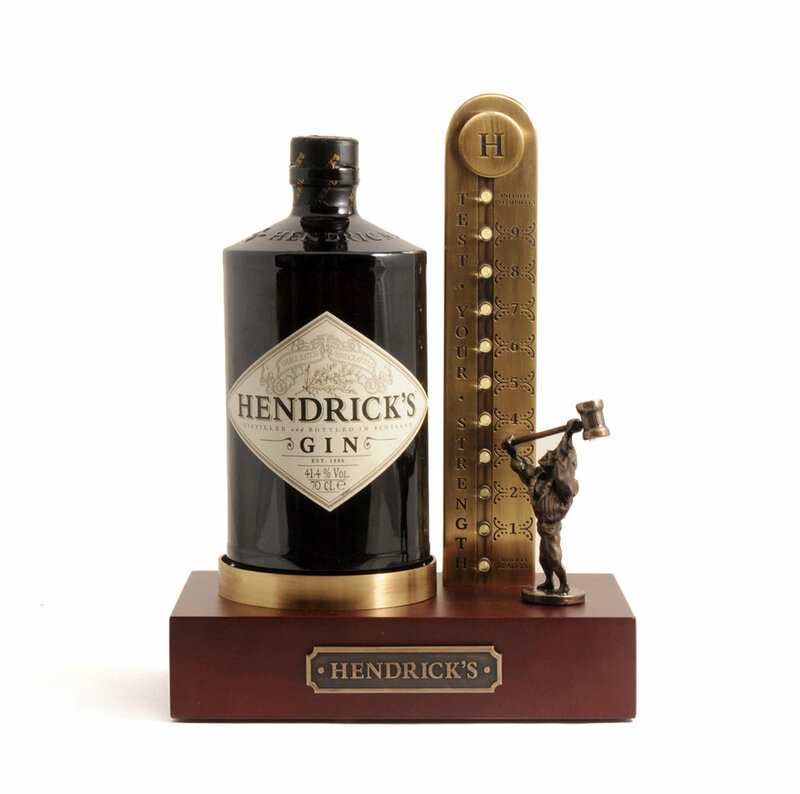 This glorifier is used to measure how much gin is left inside of the Hendrick's bottle because the bottle is completely black and one cannot see how much liquid is left inside. By pressing the front metal plaque a sequence is activated and an invisible sensor weighs how much liquid is left inside of the bottle. This is then being indicated by a corresponding number of lights which turn on and finally the sound of a bell ringing. 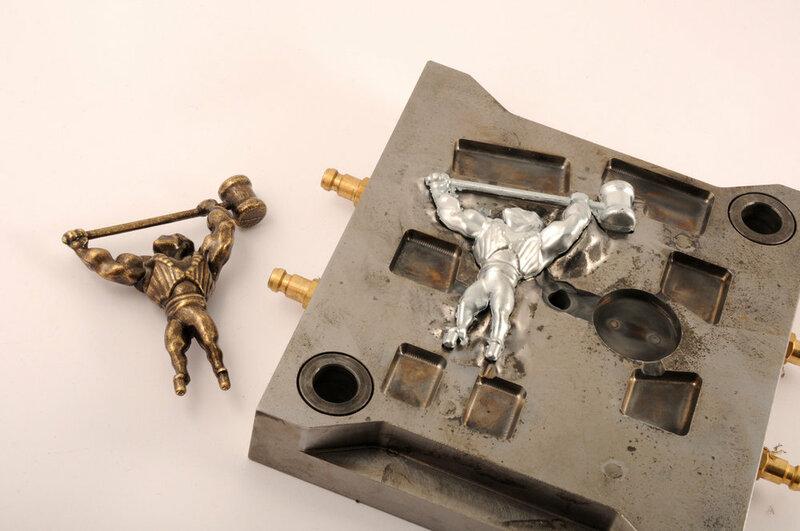 The figurine of the strongman has been developed from scratch, by using both sculpture technics and Computer Aided Design software. The final result is an entirely bespoke and unusual product, deserving of a brand such as Hendrick's.